When you switch apps on your iPhone or iPad, you might not notice the horizontal cycle animation between screens, like cue cards being shuffled. If, for some reason, you want your screen to shuffle vertically instead of horizontally, you can download VertaSwitch for free in Cydia under the BigBoss repository. There aren’t any settings to configure. Just intall VertaSwitch from Cydia, restart SpringBoard, and the app switcher will cycle vertically (from the top down) instead of horizontally. If you want to restore the regular cycle animation, all you need to do is uninstall Vertaswitch. I tested Vertaswitch and it works as expected, but because of the speed at which the App Switcher cycles between apps I was unable to provide my own screenshot of VertaSwitch in action. I spent a good ten minutes trying to get a usable screenshot before giving up. Here's the one by the developer. 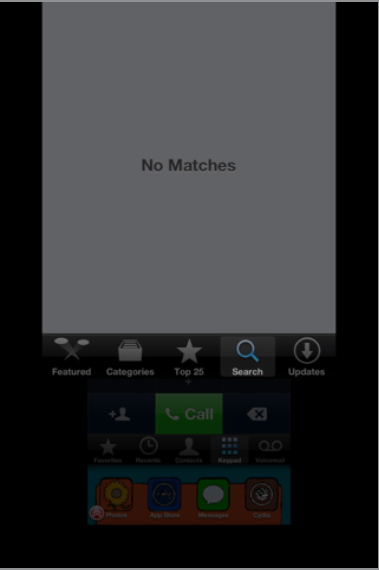 PrimeCode, the developer behind VertaSwitch, seems to like the iPhone topsy-turvy. PrimeCode also released TopLabels, which switches the labels in SpringBoard from below the icons to above them. While it would be more convenient to have a setting, you're probably not going to be enabling and disabling a Tweak like VertaSwitch too often. Do you prefer your active apps shuffling from the top or side to side? Let us know in the comments section below.